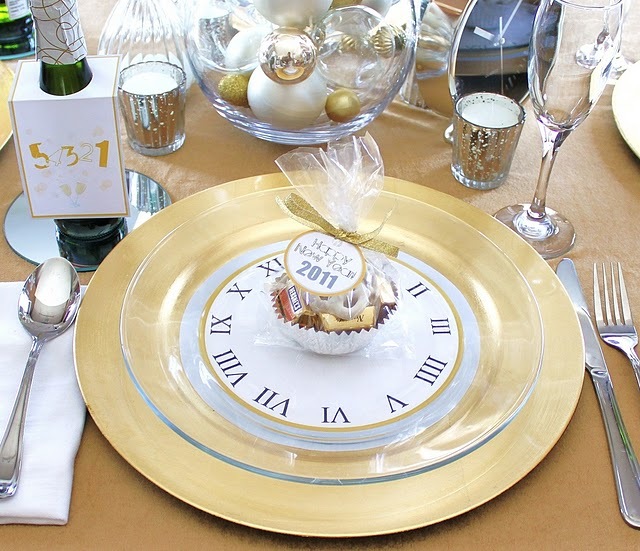 New Year's Eve is quickly approaching, and you might be wondering how to decorate your tabletop before guests arrive. 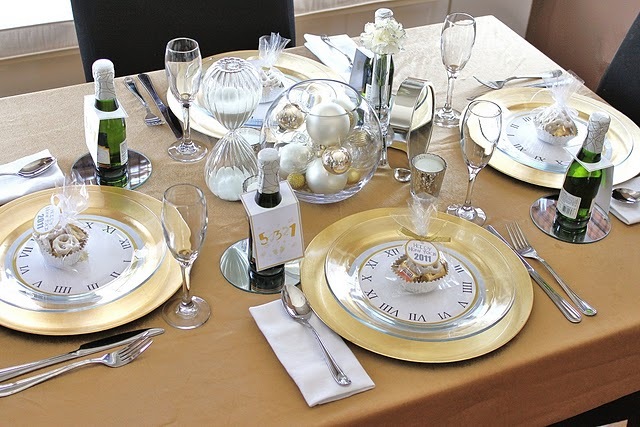 This tabletop decor, spotted over at Celebrations at Home, is inspiring, glamorous and easy to recreate on your own! 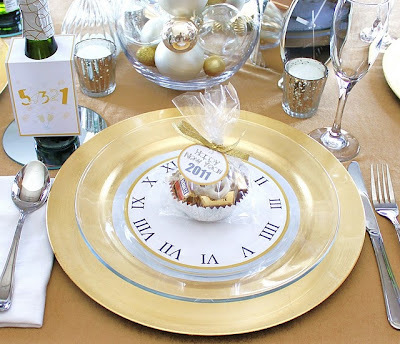 Dress your table with gold linens (silver or black would also work, for a more dramatic look), and use candles, assorted clocks, bottles of champagne and hourglasses to create a centerpiece that is unique from every angle. For a neat place setting, set out patterned or metallic chargers with clear glass salad plates on top. 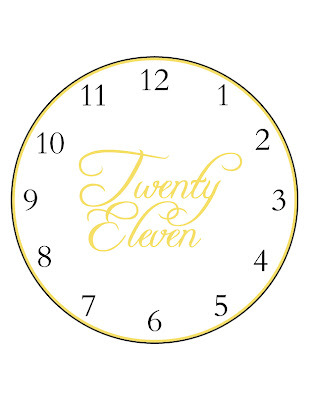 Between the plates, place a cut-out circle with Roman numerals or numbers printed on it. How easy! 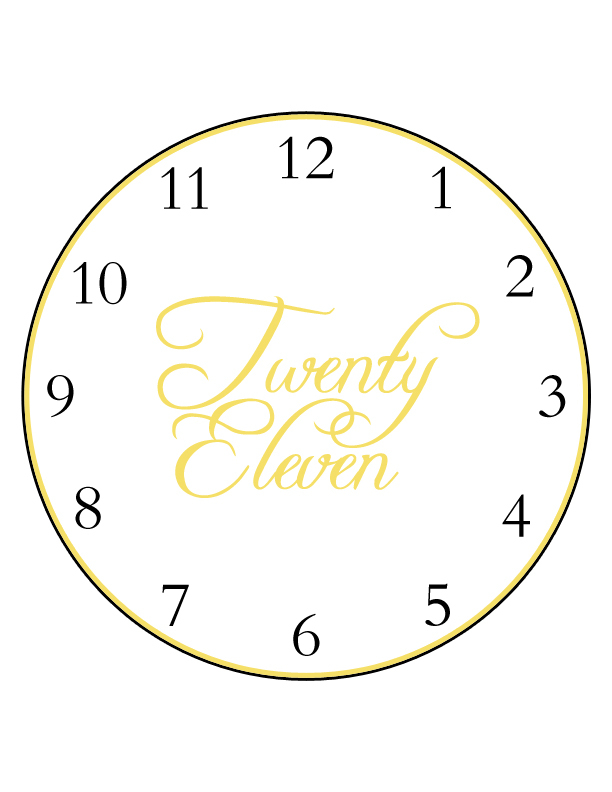 I've created a clock design that you can print from home, cut out, and use for your own New Year's Eve tabletop. Simply click on the image below to open it in a new window, then right click to save it to your desktop or desired folder. Print as many copies as you like, dressing your table in style!